The Christmas movies are in full force on every TV channel right now (for those of us who still have normal, terrestrial TV, in addition to Netflix or Roku or whatever all the kids are using for media entrainment these days). But how about some holiday movies with historical costumes that aren’t yet another twist on Charles Dickens’ apparently beloved “A Christmas Carol”? Because IMDB says there are hundreds of movies, TV movies, TV episodes, and whatnot that either recreate or take a wild riff on that story. And here in the San Francisco Bay Area, we can see the damn thing every weekend this time of year. Let’s give Scrooge and his ghosts a break. We just did a podcast on this version of Louisa May Alcott’s novel, so definitely download that before re-watching this flick. There are two Christmas scenes in the film, both sweet in that “we’re poor but proud” way. Yet the movie manages to not be saccharine, and the costumes by Colleen Atwood are excellent. 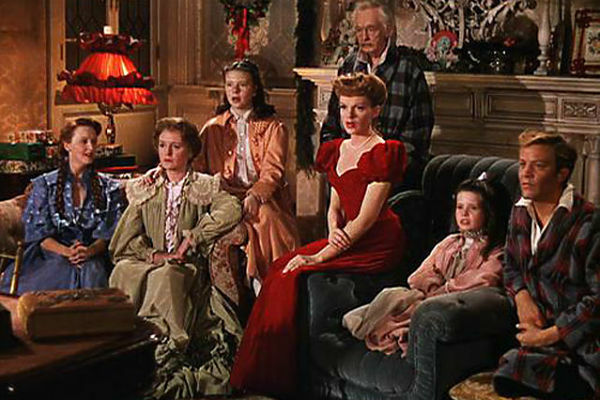 The holiday connection is that Judy Garland first sang “Have Yourself a Merry Little Christmas” in this film. It’s a wonderful, melancholy song that expresses some of the conflicted emotions people experience this time of year, and the scene when it’s sung (toward the end of the film) is quite appropriate to this mood. 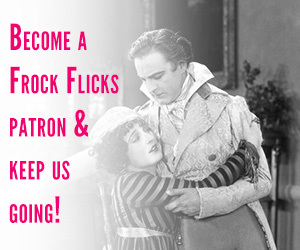 The movie’s costumes are by prolific Hollywood designer Irene Sharaff, who is second only to Edith Head in total Best Costume Oscar wins. It’s definitely 1904 by way of 1940s, but the look isn’t awful, and if you like musicals at all, this one has the whole package. 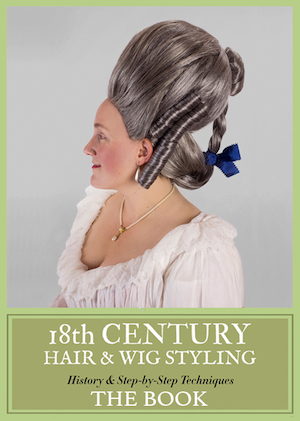 This is where we get to borderline territory — not with the holiday part, but with the historical costume part. It’s easy to find contemporary films or fantasy flicks set around Christmas. But ones set in another historical period and at a winter holiday are rare on the ground. The first book and movie in the Chronicles of Narnia series starts during World War II as the Pevensie children are evacuated to the country during the London Blitz. 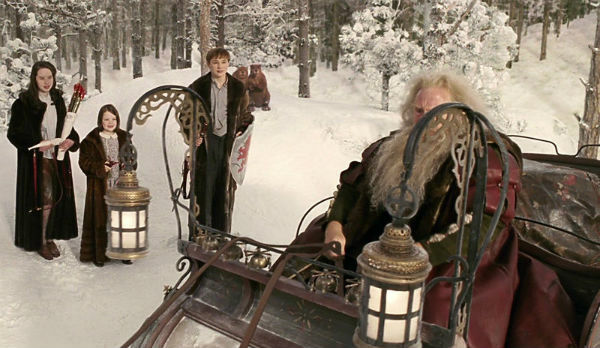 When they discover Narnia, they’re told it’s “Always winter, never Christmas.” That is, until Aslan returns, the frost begins to melt away, and Father Christmas brings presents to the children and their friends. As a huge fan of the books, I was quite pleased with this adaption. And now I jump over the aforementioned border. This film is set in a slightly retro 1950s-ish world with strong fantasy elements. Not exactly historical costume, but hey, it’s another Colleen Atwood design, and the title character’s look is pretty freakin’ amazing. Plus, this is wonderful to watch at the holidays — it’s all about the feels. Director Tim Burton has said it’s his most personal movie, and that comes through in every scene. FYI, I did want to include some less Christmas-specific winter holiday films, but movies set during Hanukkah, Solstice, and even New Years Eve are even more rare, at least in the costume drama world. There are some with generic winter settings, but I didn’t find any that felt festive. 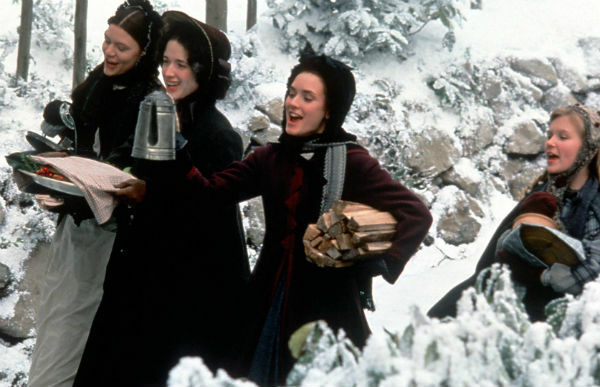 So please share your faves of all denominations — what holiday movies with historical costumes are on your list?